Due for release in the UK on 9th April 2007. 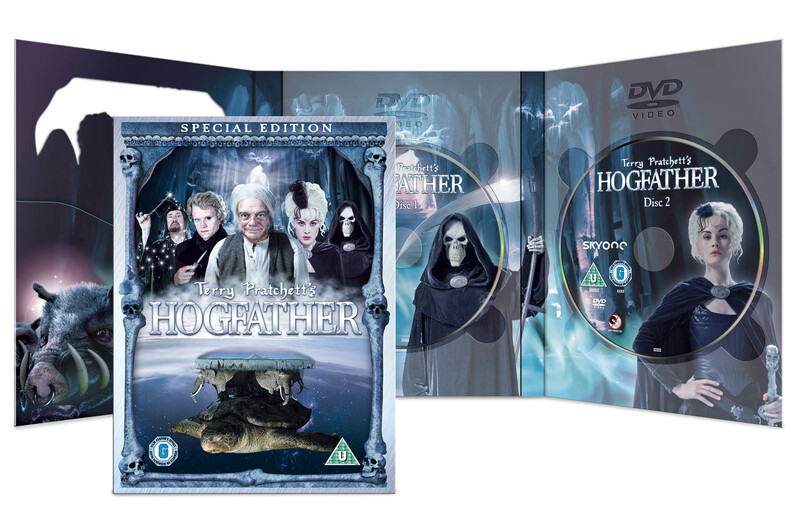 Discworld Monthly are proud to present this first view of the artwork for the Special Edition DVD of Hogfather. Please click on the image to see the full size version (current version is reduced dramatically). Please note that this artwork is still a work in progress and is subject to change.